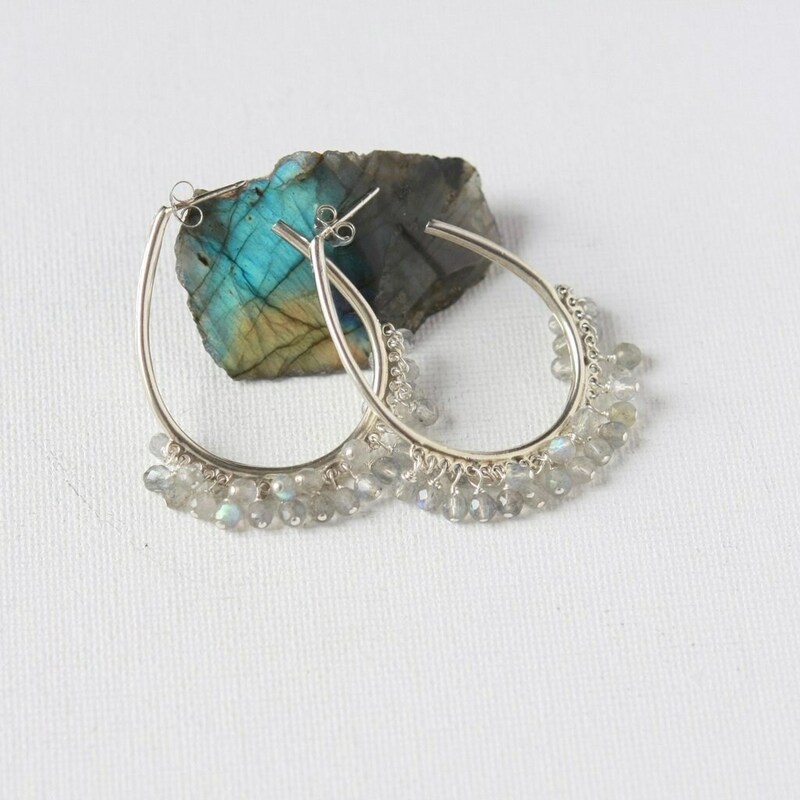 These are beautiful statement earrings that are sure to get noticed! 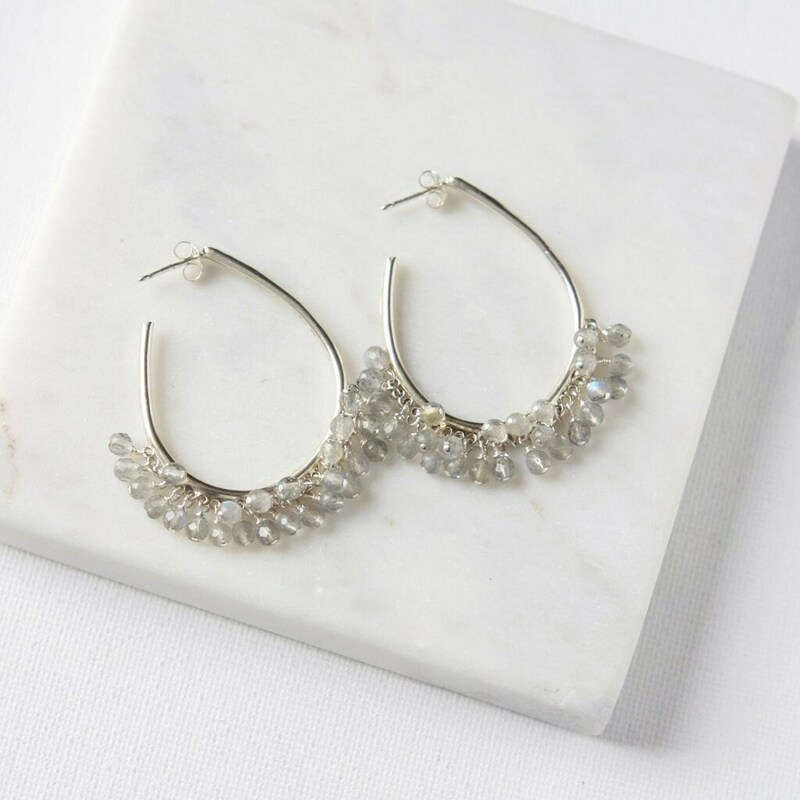 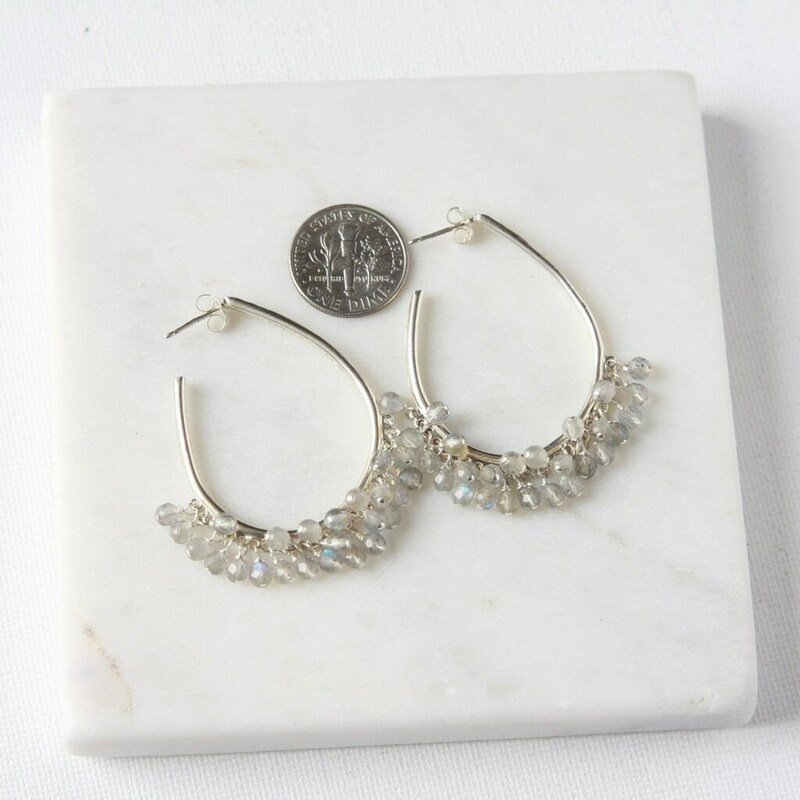 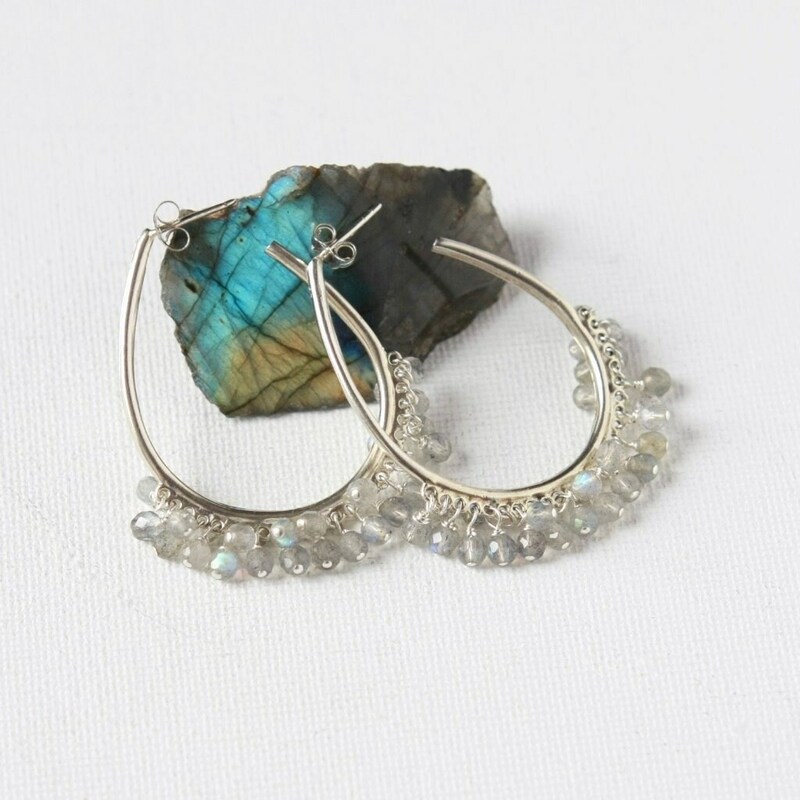 They feature sparkly clusters of faceted 3.5mm AAA labradorite rounds that have been wire wrapped in sterling silver wire to sterling oval hoops. 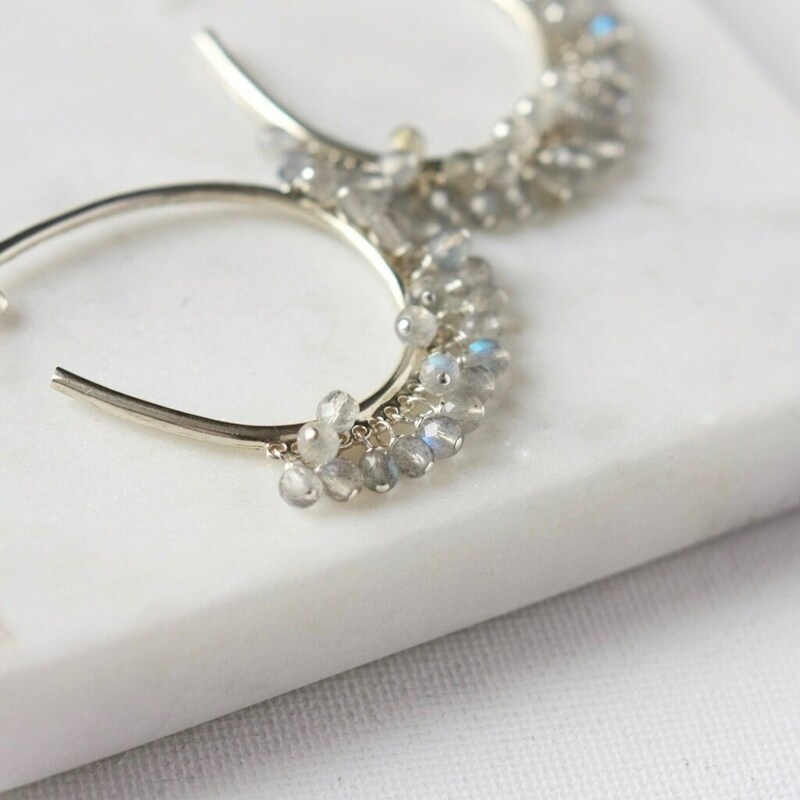 The high quality gemstones have excellent clarity with pretty flashes of blue and they catch the light for a sophisticated shimmer. 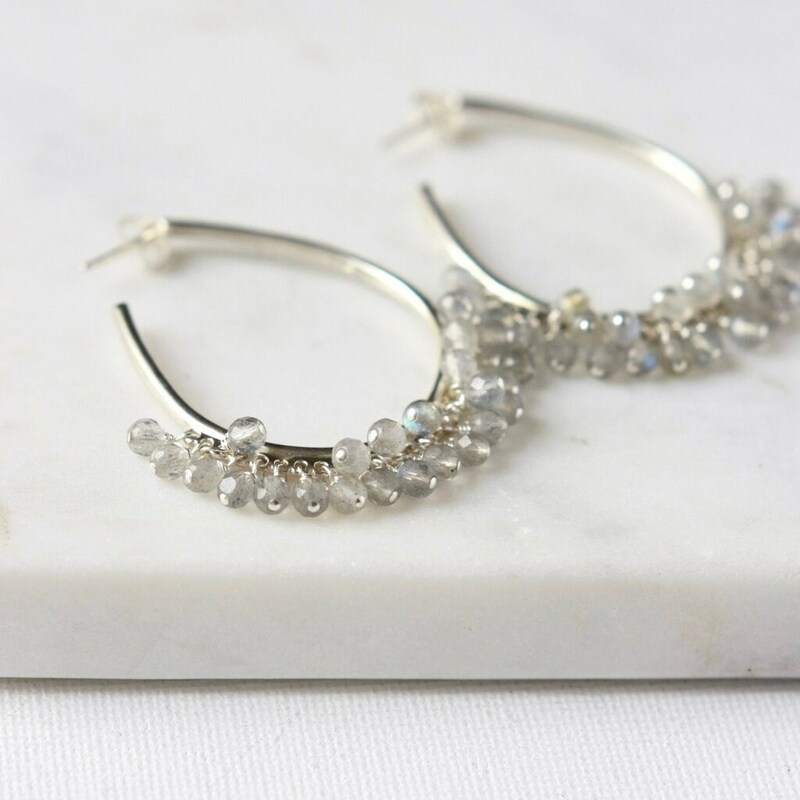 The sterling hoops are a generous size at 27mm and hang about 1.5 inches from the top of the sterling silver ear posts.